How well is your organization structured when it comes to professional market & reference data management? Screen Consultants can assist with a full, in-depth health check through its market data organizational audit service, or a top-level quick scan. You will directly obtain detailed advice on the areas for improvement. 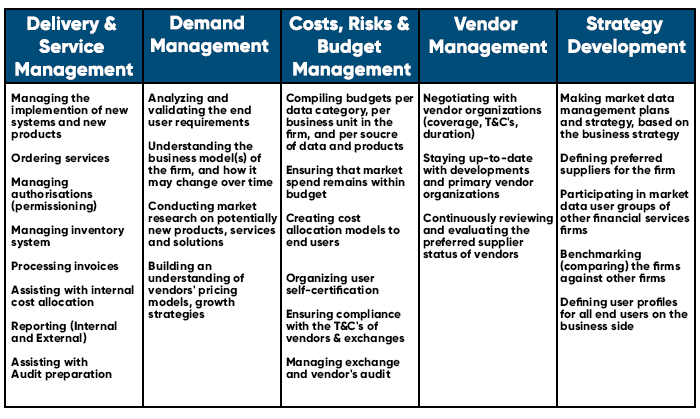 Screen Consultants' market data organizational audit service reviews and scores the fives elements of our market & reference data management organizational model and underlying infrastructure in full detail. We also offer a quick scan, which is an abridged version of our organizational audit. Ready to implement effective market data governance within your organization? Learn how to centralize your market data management. Ready for the next step? We think you are! We have a proven track record of assisting financial institutions — with budgets of any size — globally with both their day to day and strategic market data & financial information management challenges.